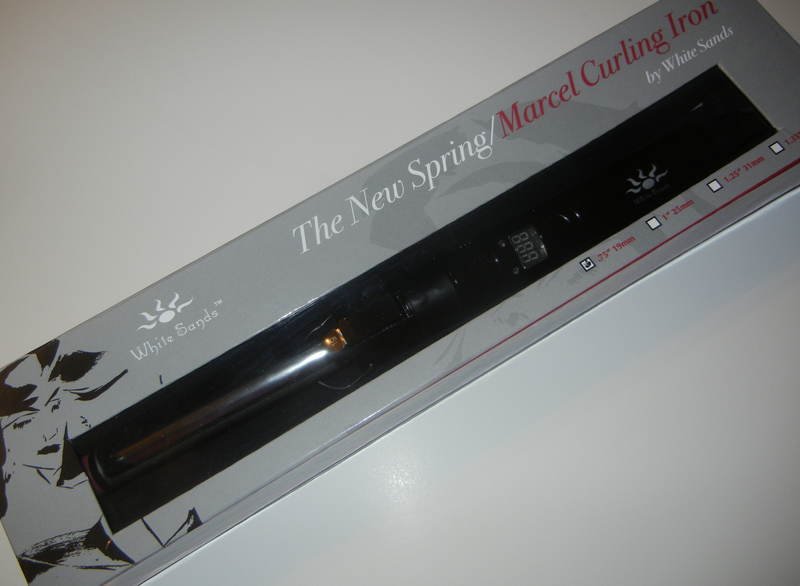 White Sands introduces their brand new Spring Marcel Curling Iron that teaches you how to use a curling iron like a professional! The innovative iron provides the beauty and diversity of creating curls by fusing Spring and Marcel methods into ONE tool. Utilize the professionalism of a Marcel curling iron to create beautiful waves or switch to the direct control and ease of a Spring Load without the need for multiple irons! This light weight Professional Titanium Iron is the secret to achieve beautifully designed and polished curls. Maintain total styling control with a smart tool providing an instant and even heat with a Digital LED Temperature Setting ranging from 122 - 410°F. As the smoothest surface available for tools, tresses will effortlessly glide over the Titanium barrel for styling free of unwanted tugging, snags, or breakage. This cutting edge material produces the iron's even heat distribution, emitting negative ions to create soft, silky hair. For this look I wanted to create loose and flowing spirals. Check out my before & after photos below. Glow: These curlers make curling super easy! I've never completely mastered the art of using a curling iron without tangling up my hair and I think that's because I couldn't quite grasp the technique. However the 360 degree spinner allowed me to effortlessly coil my hair around the irons creating perfect spirals! I also like the digital temperature setting, the curlers go up to about 410 degrees but I only had them set on 180 and they still did a wonderful job at helping me create beautiful loose curls. The irons also glided down my hair really smooth! Glare: They're a little larger in length than I'm accustomed to but I was still able to use them with ease and they are very light weight. I was also a little worried about the curl release button at first because it's kinda short and close to the actual irons, I feared that I might burn myself but to my surprise that part doesn't get hot at all and it's the perfect fit for your thumb to rest on or whichever finger you use to hold it. Would I Recommend It? YES!! I'm far from a professional when it comes to styling my hair and honestly I was always afraid to use curling irons prior to this experience because I feared I would burn or tangle my hair in the process. 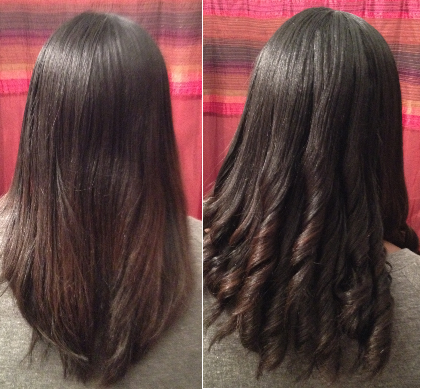 But the innovative design of the Marcel Curling Iron has definitely made me more comfortable in curling my hair. Where To Buy: The White Sands 3/4 Inch Spring Marcel Curling Iron currently retails for $110. To purchase or to learn more please visit www.whitesandsproducts.com . To get a closer look at how these curling irons work check out the video below to see them in action! How gorgeous is your hair! 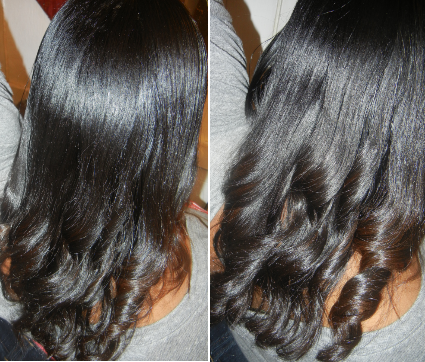 It looks beautiful both straight & curled!